The X5 doesn't have this problem. Despite the fact that it was introduced almost 20 years ago, alongside so many beloved BMWs, the lineage of the X5 is never viewed through the same rose-tinted lens. 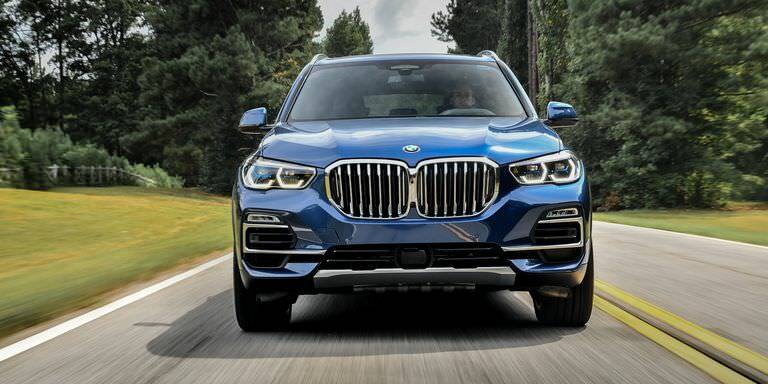 There are a number of reasons for that, but ultimately, it's because the X5 was the first BMW that told enthusiasts in clear terms the company wasn't exclusively interested in sharp-handling sports-sedans seemingly tailor-made for them. It showed that BMW's interpretation of "The Ultimate Driving Machine" was broader than its biggest fans thought. Throughout its history, the X5 never had to atone for any supposed sins BMW made in enthusiast eyes. It's been free to be whatever BMW wants. Approaching the 2019 X5, you don't think about the first generation; you just wonder if it's better than last year's. 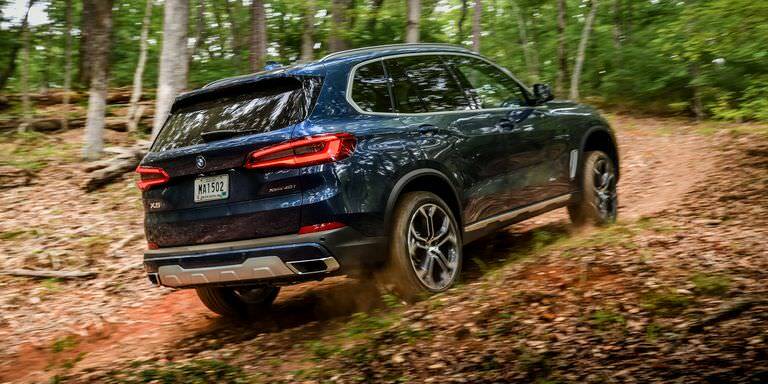 The X5 is not a small car, weighing in at over 4800 lbs, but the 2019 X5 can actually handle. That's thanks largely to optional two-axle air springs, an electronically controlled locking rear differential, rear-wheel steering—where the rear wheels steer opposite the fronts at low speeds for added agility, and in the same direction at high speeds for increased stability—and a staggered set of low-profile Pirelli P Zero summer tires. 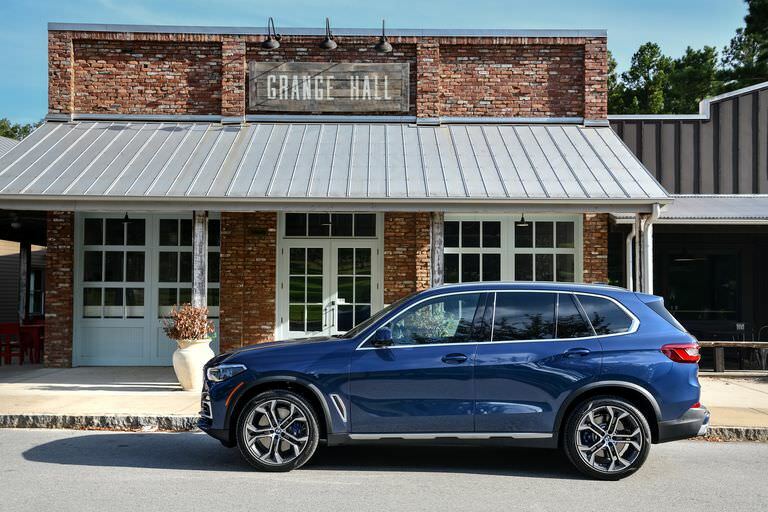 On a backroad, the X5 doesn't magically transform into a sports-sedan—it's far too numb and big for that—but it doesn't amble along like a truck either. 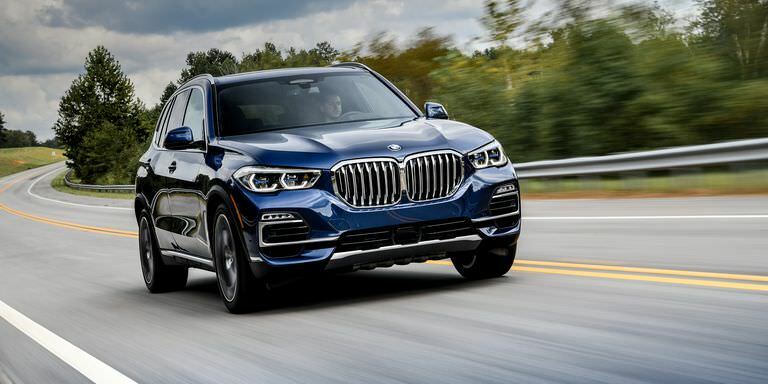 BMW will offer a 4.4-liter V8 with 456 horsepower for the X5, but we had to make do with the six-cylinder 40i model with 335 hp and 330 lb-ft of torque at the X5's launch event. 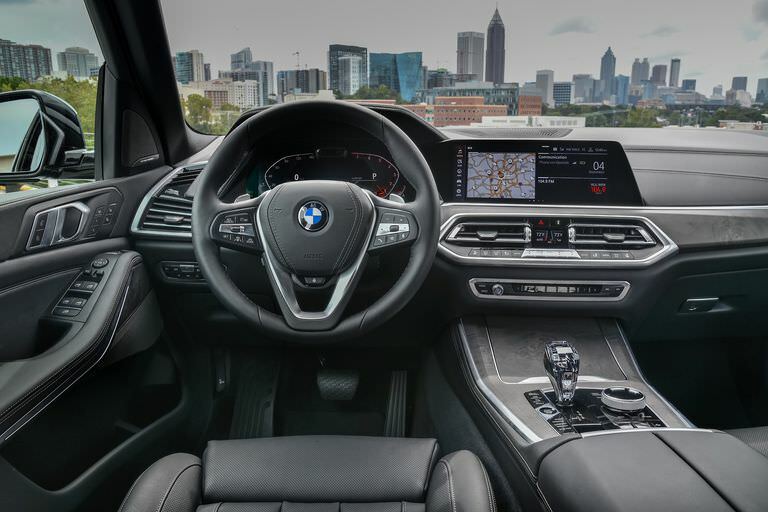 The engine is BMW's now-familiar B58 3.0-liter single-turbo inline-six, which truly is one of the sweetest motors in any mainstream car today. 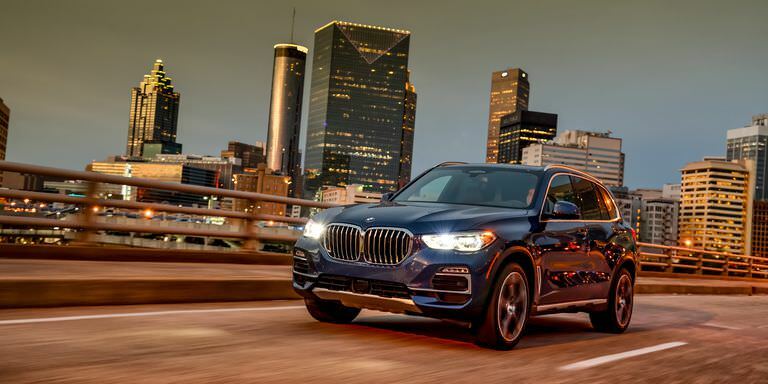 It's smooth in a way the V6s and inline-fours in the X5's rivals could never be, with linear power delivery up to redline and a broad torque curve. Some have justifiably argued that BMW lost the plot when it came to chassis tuning and steering feel, but it never forgot how to build a great inline-six. Like so many other BMW mills, this engine is paired to ZF's almost-ubiquitous eight-speed automatic, which is calibrated to perfection. BMW really are the masters of this art.